A reliable label maker is an absolute necessity for people looking to organize their home, office or virtually anything else. But not all label makers are created equally. Our researchers at ReviewLab have scoured through hundreds of reviews and compared dozens of label makers side by side to create this list of the very best of the best for whatever purpose you may need, be it at home, in the office or in more rugged environments. We examined a number of different features, including print speed, affordability, font options and durability. Learn more about what you should be considerig when purchasing a label maker by consulting our buying guide. Read more about our methodology. The Brother P-Touch PT-D600 is our top choice because of the amazing options it offers, its versatility and relatively reasonable price point. Whether you need this label maker for your home or your office, there’s almost nothing you won’t be able to do with the PT-D600, and its myriad print options will make it fun to use. Our runner up for best overall label maker, the Epson LW-700 is every bit as good as our top selection, but comes in at a slightly higher price point and doesn’t offer a full color backlit display. 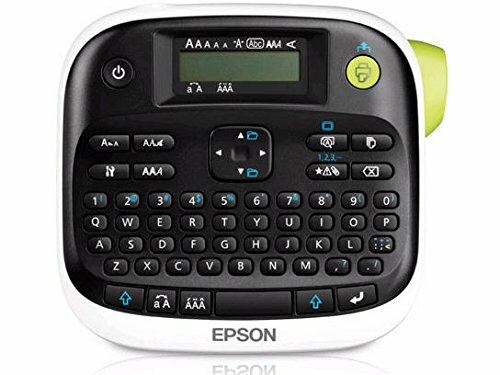 It’s an ideal label maker for home or office use, comes with fantastic internal memory, leaves nothing to be desired when it comes to printing options and can be used connected to a computer or on its own. You will almost certainly not find another label maker that can match the PT-D210’s range of functionality at such a low price. The Brother P-Touch PT-D210 is our top selection for a label maker on a budget because it offers enough versatile functions to meet the most common needs and it will likely cost you less than $30. Anytime you can get a label maker that will handle most of your household organization tasks for under $30, you’re getting a great bargain. 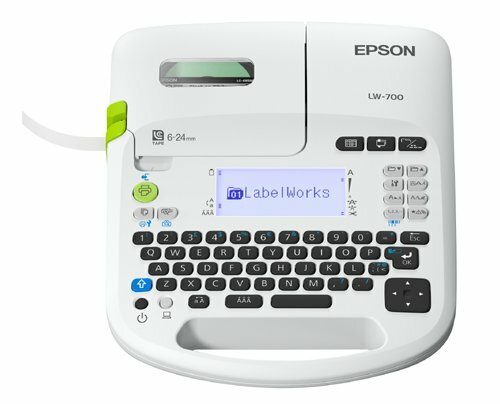 The Epson LabelWorks LW-300 is our runner up in our best on a budget category because it checks off all of the important boxes for a low-volume home label maker: affordability, multiple fonts and print features and built-in memory. You can’t ask for much more at such a low price. When you have 20 mailing labels to print out for your business, you don’t want to be stuck waiting longer than necessary. 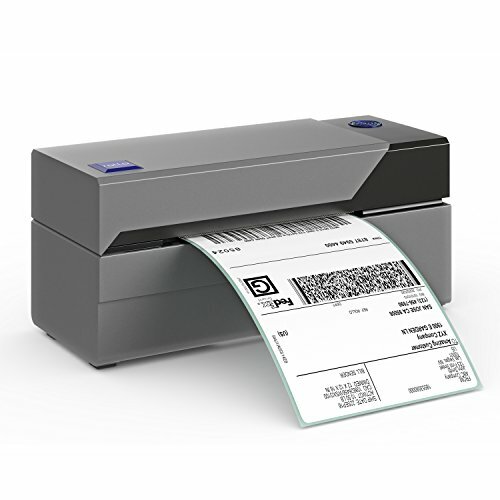 The ROLLO Shipping Label is ReviewLab’s top pick for the office because of its insanely high label per minute output, its compatibility with all types of thermal paper and ability to work with multiple platforms, including UPS, Etsy and Shopify to name a few. The DYMO LabelWriter 450’s versatility and relative low cost were too impressive to be ignored in this category. Our researchers were impressed its print speed, the amount of different print functions and the overall low cost of ownership. Some people need a label maker that can take a beating without missing a beat. The Brady BMP21-PLUS fits this bill, making it the easy top choice for our best rugged label maker. It offers a durable design, durable labels and simple functionality. When deciding on our top choice for best handheld label maker, we wanted one that could complete all of your basic printing tasks, was lightweight and didn’t cost a ton of money. The DYMO LabelManager 160 offers all of that and then some. You have to actually be able to use this thing with relative ease. The size of the keyboard is something that you will want to pay attention to, in addition to whether or not the label maker offers a QWERTY keyboard or an ABC keyboard. There’s no right or wrong feature here, it just boils down to what you prefer. Do you need a label maker that offers only a few print options or one that gives a choice from dozens of options? Some label makers come equipped with several fonts, styles, frame options and color offerings, while others are more straight forward and only offer the bare minimum. In addition, there are label makers that offer proprietary label designing software and the ability to connect to a computer to print directly from Word, Excel and other programs, increasing label options. 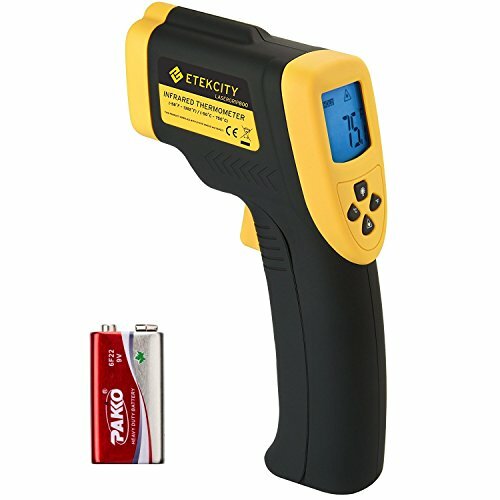 You will have a choice between label makers that run on rechargeable batteries, standard alkaline batteries, an AC adapter or some combination of the three. You must consider your needs and weigh the battery life of a rechargeable battery vs. the reliability of constant power from an AC adapter and the long-term cost of constantly purchasing new alkaline batteries. In many cases, more features on your label makers means it will be more difficult to use. Features like built-in memory, which quickly allows you to access previously saved labels, in addition to a user-friendly manual and helpful customer service call centers are definitely things you should consider before choosing your label maker. You don’t want to be stuck with a label maker that you can’t get the most out of because you can’t figure out how to use it. What size labels will you need and how much do replacement cartridges cost? You need a label maker that can produce the right size labels for your needs. You will also need to consider how much you will be printing, the size of the label margins and the long-term cost of continually having to replace cartridges. In general, a label maker will run from just under $20 to slightly over $100. Extra fonts and printing options will almost definitely raise the price, as will features like the ability to connect to a computer and extra durability. In addition to the initial cost of the label maker, some will incur long-term costs related to replacing label tape and/or batteries. You will need to consider how much you will be printing, the size of the label margins, the type of tape you need (color, weather resistant, nylon, network cable, etc.) and the long-term cost of continually having to replace cartridges. This label maker offers versatile functionality that makes it useful at home or your office. Print labels to organize your cabinets, pantry and closets, or print labels that include your logo if you need it for business purposes. The multiple fonts and computer connection option gives you many print possibilities for fun home uses, while its print speed makes it ideal for most offices as well. The backlit full color display shows you exactly what you’re printing so you don’t make any errors. Multiple print options available. 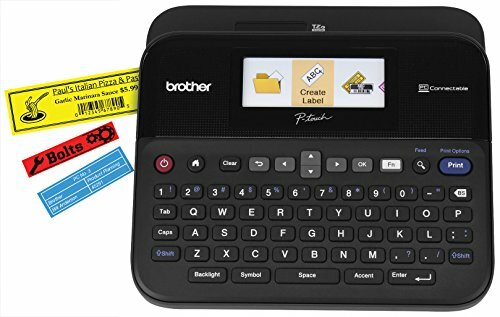 The Brother P-Touch PT-D600 offers 14 fonts, 11 font styles, 99 frames, over 600 symbols to choose from and can support more than 50 different types of tape up to 24 mm (approximately one inch) wide. You can fit up to seven lines of text on one label. Connect to PC or Mac. You can either choose from an expansive library of label templates or connect to a computer and use the P-Touch Editor Label Design software to create custom labels. Reviewers repeatedly lauded the incredible versatility in label designs that this feature offers. The possibilities are nearly endless. High volume capability. Equipped with an automatic label cutter and above average print speed, this label maker can produce labels at a pace that would satisfy most business’s needs. Full-color backlit graphic display. See what you’re printing and exactly how it will look using the PT-D600’s full color, high-resolution display. Many label makers come with only a black and white display, compromising accuracy from label conception to actual printing. You may have to purchase batteries. While the AC adaptor is included, if you want to take it away from the desk, you will need six AA batteries, which are not included. Potential to waste tape. One of the most common complaints about the PT-D600 is that it wastes a lot of tape due to the large margins. If you plan on printing a lot, this can increase your overall cost of ownership, though you can adjust the margins in the settings. 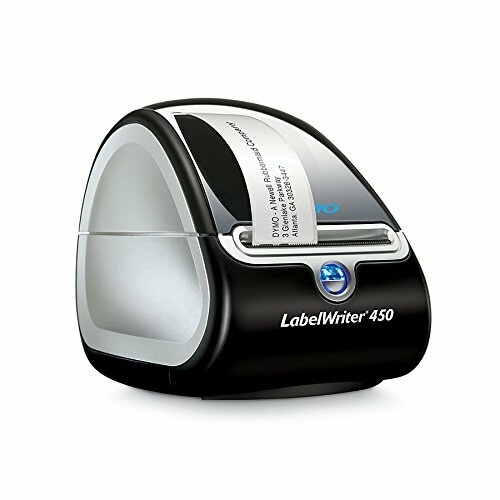 The Epson LW-700 is a desktop label maker that can be powered with an included AC-adapter or six AA batteries. Its lightweight design makes it easily portable, and it offers an endless range of different print options, between the fonts, frames and types of tape supported. The shortcut buttons plus its internal memory will make it easy to reprint your most commonly used labels when needed. Because it can be connected to a computer, there’s almost no limit to what you can print on this label maker, whether it be your company’s logo, something for a special occasion, simple labels or a barcode. Supports five label sizes and offers multiple print options. While many basic label makers can only print on one type of tape and don’t have many other options, the Epson LW-700 has more than most would ever need. It offers multi-line printing capability, 14 fonts, 10 font types, over 450 symbols and 75 frames. It also supports ¼”, 3/8”, ½”, 3/4” and one inch label width sizes. Store previous label designs. Rather than having to figure out your settings each time, the LW-700 allows you to store up to 100 label designs within its internal memory for quick printing. Different types of tape. Label makers from the Epson family have many types of tape available, including glow in the dark, iron-on, strong adhesive, cable wrap and folder tab, to name a few. Predesigned labels sorted by industry. For business owners, the label maker software offers dozens of pre-designed labels that are organized by industry, making for some quick print options. These predesigned labels have been a big help for reviewers who needed the label maker for business purposes and didn't have the time or ability to custom design them. Data import. This feature allows you to print the same label up to 999 times or 999 different labels within the same print job. Difficult to master. Some reviewers have complained about the LW-700 not being the easiest product to use. With so many different features available, you may want to take some extra time to fully study the manual, and be sure that you don’t misplace it so that you can take full advantage of the label maker’s many uses. As long as you aren’t looking for high volume printing or the ability to connect to a PC or Mac, the Brother P-Touch PT-D210 will do virtually everything that you need a label maker to do. It stores up to 30 labels, has multiple label templates to choose from and is relatively inexpensive. 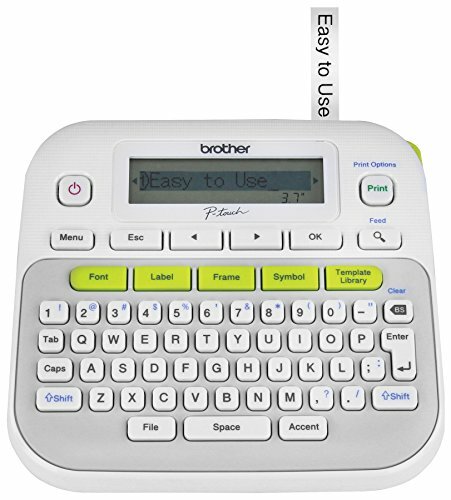 This standalone label maker is equipped with a complete, wide format, QWERTY keyboard and a lightweight design (1.1 pounds) that makes it easy to use. You will not find a label maker with more functionality at the PT-D210’s favorable price point. Store up to 30 labels or choose from 27 on file templates. Quick label printing is made easy with the PT-D210’s built in label templates and generous internal storage. You don’t have to create a unique label with each use unless you want to. Plenty of print options. Even with its low cost, this label maker does not rob you of the versatility that many more expensive models offer. Users enjoy one-touch keys for quick access to 14 fonts, 95 frames and over 600 symbols. Very few reviewers have been unhappy about the options this label maker offers. Chain printing reduces wasted tape. One of the most common complaints from users about virtually all label makers is the wasted tape, which increases overall cost of ownership. The PT-D210 minimizes this problem with its chain print feature, which allows users to print multiple labels at once and reduce the wasted margin space. AC-adaptor and batteries sold separately. Unfortunately, this label maker is not ready for use upon purchase. 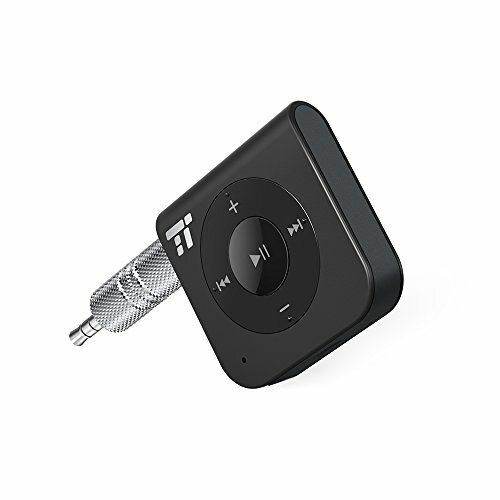 Since both the adaptor and batteries are sold separately, you will have to choose one before you can use your PT-D210. This is a source of frustration for some users who don’t want to spend more. Limited print space. This label maker only supports a maximum of a ½ inch width tape and up to two lines of text on any label. LCD is not backlit. Though there is a display screen to see what you’re printing, the fact that it’s not backlit may make it difficult to decipher in low light situations. 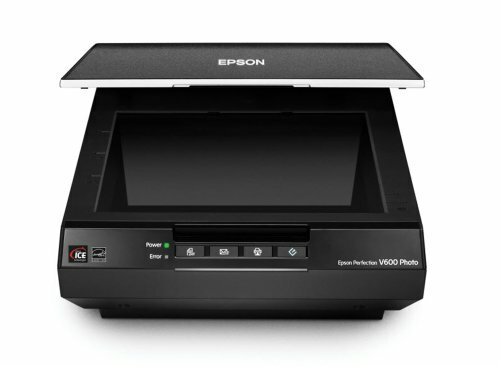 While it’s somewhat limited as an office tool, the Epson LabelWorks LW-300 is a great home organization tool with enough features to satisfy most needs. 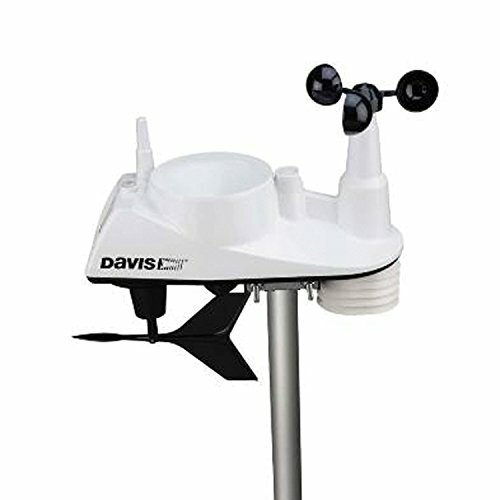 This standalone unit is extremely portable, and although it cannot connect to a computer, its library of fonts, styles, symbols and frames makes it easy for you to create many custom designs for your labels. Its built-in memory saves time when making repeat prints, and its narrow margins reduces wasted tape compared to many other brands. Supports seven languages. While most people will not ever need to use too many languages, the fact that the LW-300 can print in seven different languages is a bonus that should not be overlooked. Sufficient font and print choices. The LW-300 supports multiple label cartridges up to a half-inch in size and offers 14 fonts, 10 styles, over 300 symbols and 75 frames. The internal memory makes it so you don’t have to navigate through all of these options every time. Narrow margins save tape. 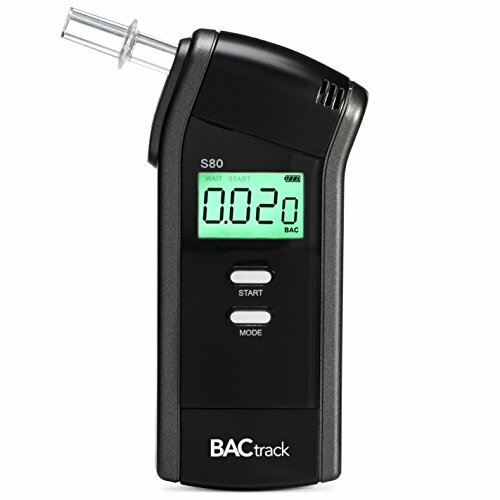 If you’re purchasing the LW-300, you are likely interested in its low cost. So it’s helpful that its narrow margins reduce the amount of wasted tape, up to 62 percent less waste according to the manufacturer. This claim has been backed by multiple user reviews. Low print quality. Several reviewers complained about low print quality from this label maker. Specifically, there were complaints about uneven letters and pixelated print that resembled old-school dot matrix printers. Power source not included. The LW-300 does not come with an adaptor or any batteries. You will have to purchase your power source separately, and some reviewers noted that the label maker ate through batteries rather quickly. There are very few offices that wouldn’t benefit from having at least one label maker on site. Label makers for the office need to be able to print a higher volume of labels and should also offer other print options, such as bar code capabilities and multiple label sizes. Label makers can be useful in the office for filing, organizing storage areas and shipping. Since office label makers are often used more than ones at home, you’ll want to consider the cost of ink and replacement labels in the total cost of ownership. Everything you do at your office is about being as efficient as possible and saving as much money as possible. The ROLLO Shipping Label Printer helps you do both. First, it prints labels at a speed of 150 mm per second, which is by far the top in its class. Second, it works with any type of direct thermal label, including free UPS labels. It’s compatible with both a Mac and PC, and with some of the most common online marketplaces, including Shopify, Etsy, Amazon, eBay, Stamps.com and more. If you print a lot of shipping labels at your place of business, there is no better selection for your onsite label printer than the ROLLO. Super high volume printing. Whether you’re printing dozens or hundreds of shipping labels per day, this commercial grade label maker has the print speed to meet your demands. Its 150 mm/second print speed is the top in its class. Works with any direct thermal label. While many brands force you to buy their proprietary labels, the ROLLO is compatible with any type of direct thermal label, meaning you can further save money by choosing free or low cost labels. Outstanding customer support. It’s worth noting that the ROLLO’s customer support team received nearly endless praise from reviewers on multiple sites. Label makers can be difficult to figure out at first, and the ROLLO customer support team is willing and able to help quickly. No toner or ink. The ROLLO installs on your computer like a standard printer, and you will never have to replace ink or toner because of its thermal printing feature. Great versatility. Whether you’re printing shipping labels, name tags, food nutrition labels, warehouse labels, barcodes or Amazon FBA labels, the ROLLO has you covered. Not portable. If you need a printer at your job that you can take with you as you make labels, the ROLLO is not the right choice. This is a desktop label maker that needs to be hooked up to a computer. Not for small print jobs. If you need a label maker to reorganize your filing cabinet at work or your kitchen pantry, the ROLLO will be too much for you. This is a commercial grade label maker meant exclusively for businesses that need to print a large amount of shipping labels and other larger labels. 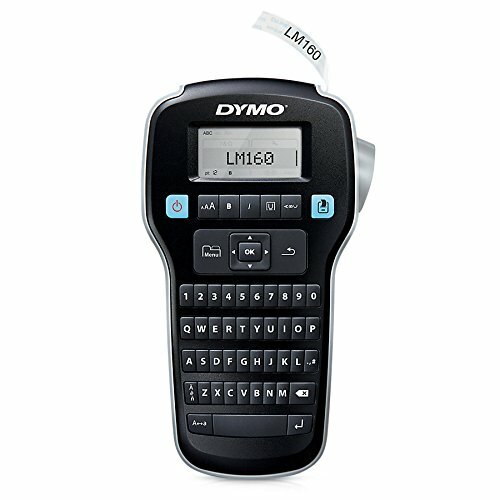 For offices with high print demands, the DYMO LabelWriter 450 can really be a big help in a very small package. It offers numerous label making options, very fast print speed for high volume jobs, label maker software for custom designs and thermal printing to reduce overall costs. This high-volume label maker is competitively priced and would make a great addition to any office that regularly prints name tags, shipping labels or needs to improve its filing organization. Up to 51 labels per minute. As a business owner, you don’t have any time to waste. The DYMO prints labels incredibly fast, meaning you won’t get stuck needlessly waiting for your labels to print out if you have large jobs. Save money on ink and toner. Thermal printing means that you won’t ever have to worry about buying ink or a toner cartridge, making the relatively low cost DYMO even more cost-effective. The lack of a need for ink was a big draw for several reviewers who needed the DYMO for high-volume business printing. It's hard to ignore the savings. Print mailing labels, name tags or barcodes. The DYMO 450 offers a lot of versatility in its printing options. You can create product information labels, address labels, retail price tags, file labels, barcodes, logos and name badges, to name a few. Some issues working on Macs. Despite the manufacturer claim that it is compatible with both PCs and Macs, several users have complained that the DYMO either does not work on Macs or is somewhat buggy. Some complaints about label jams. One common flaw described by reviewers involved the DYMO’s tendency to get jammed while printing labels. Not portable. There is no battery powered option for this label maker. You must plug it in and use it with your desktop computer or laptop. People working in fields that deal with electrical and cable wires know how important it is to be able to quickly label wires to reduce confusion later on. Label makers specifically for network cables must produce durable labels that will stand the test of time and the impact of elements if outdoors. You also need a label maker that will be able withstand a few drops here and there. This is an extremely tough label maker designed for electricians, construction workers and other professionals to use at job sites. You won’t have to worry about dropping it or bumping into anything because of its durable design, nor will you have to worry about the strength of the labels. 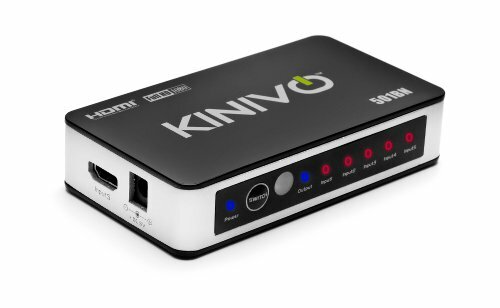 You can choose to power it with rechargeable batteries, standard alkaline or with an AC adaptor as well. Its built-in label grabber device prevents labels from hitting the floor once cut, adding to its easy one-handed functionality. It also has an optional magnet accessory so it can be mounted to a metal panel or surface for greater convenience. Rubber bumpers add toughness. Not that you plan on dropping your label maker over and over again, but it’s encouraging to know that a few drops won’t spell doom for the Brady BMP21. Rechargeable lithium ion battery. Though it is not included, you can choose to power this label maker with a rechargeable battery, which will allow you to take it on the go and avoid repurchasing the 6 AA batteries it needs to run. Extremely durable labels. 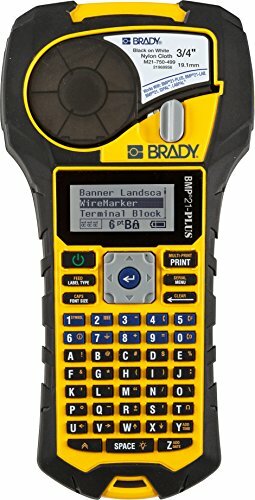 Whether you’re using these labels for general organizational purposes, wire marking, cable flagging or anything else, the Brady labels offer 8-10-year outdoor durability, aggressive adhesive and superior chemical resistance labels, to name just a few options. This durability makes it a favorite of professionals who have to use it in the field. Simple to use. While its lack of printing options may be a turnoff for some, it’s a plus for others. With only a few fonts to choose from and barcode capability, this is more than enough for most people in the market for this type of label maker. Automatic label functions. The BMP21 comes with templates for nine common functions, including wire markers, terminal blocks and patch panels, allowing you to begin printing as soon as you put in a label cartridge, with no other navigation needed. A-Z keyboard. If you’re used to a standard QWERTY keyboard layout, the A-Z keyboard could be a bit of a nuisance. Minimal printing options. The label maker prints in just one color and has only six different font sizes available (and you can only use one size font on each label). 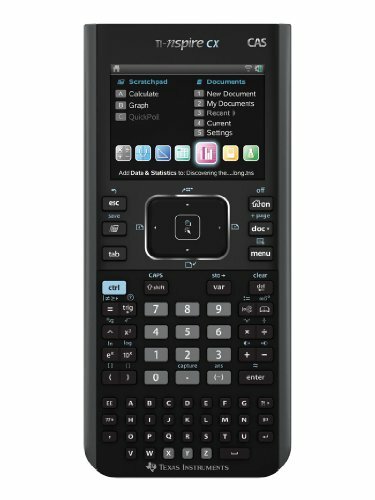 Even its 100 built in symbols is low compared to many other label makers on the market. If you need a bunch of bells and whistles, this is not the right label maker for you. When you don't want your label maker tied to a desk or an outlet, your best bet is to go with a portable model. Portable label makers work well in the home or the office and need good battery life, easy-to-use keyboards and functions and to be lightweight and durable. Many portable models also have printing and text options that rival desktop label makers. At around just $15, this label maker works well for low-volume around the house or office labeling. As long as you aren’t looking for a bunch of features that you would find on more expensive models and you aren’t trying to print dozens of labels per day, the DYMO LabelManager 160 will do what you need it to. It fits nicely in one hand, offers over 200 symbols and clipart, comes with a QWERTY keyboard and offers an LCD display so you can see what you’re printing and avoid unnecessary errors. Last label memory. 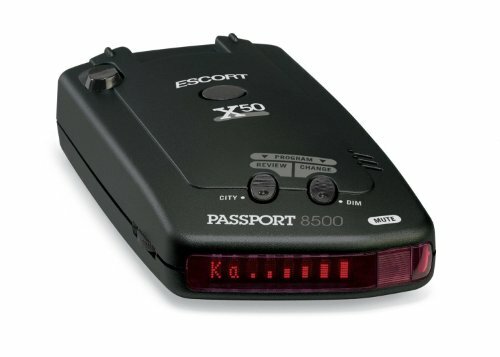 While it does not sport the massive internal memories you will find in more expensive models, the 160 does offer last label memory, meaning you can quickly reprint your most recent label. Enough label options. Six font styles, eight text styles, 228 symbols plus clipart is likely enough for most low-volume printing needs. There are also different tape cartridges that expand your options. Easy one-handed fit. Most of the positive reviews about this label maker referenced how easy it is to operate with one hand, which is exactly what you need in a handheld model. Can be difficult to find symbols. Several users complained that the DYMO LabelManager 160 lacks intuitive design and that finding the different symbols, fonts and frames you want to use is not very easy. Complaints about battery power. Multiple reviewers indicated that the label maker ran out of battery power more quickly than they had hoped, limiting its portability. However, there is an optional AC-adaptor for it.